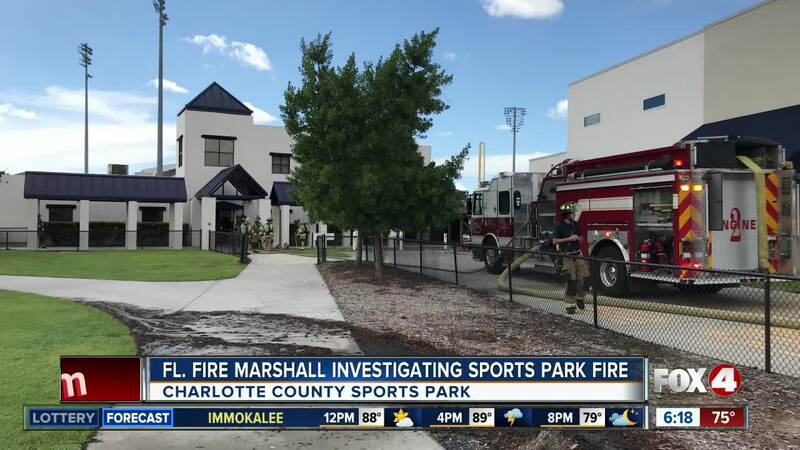 PORT CHARLOTTE, Fla. -- The State Fire Marshal is working to find out started a fire at the Charlotte County Sports Park. That's the complex on El Jobean Road where the Charlotte Stone Crabs play, and the Tampa Bay Rays hold spring training. It happened around 3:30 Sunday afternoon. Four crews were on scene, clearing some of the smoke from that fire, which appeared to have started in the laundry room, burning through a washing machine and water supply line. The water from the line flooded the floor and put that fire out.